Defined. This group of shells is small. The Fig Shell belongs to the Giant Sea Snail group. Tonnoidea; family: Ficidae; species: Ficus Gracilis. Description. 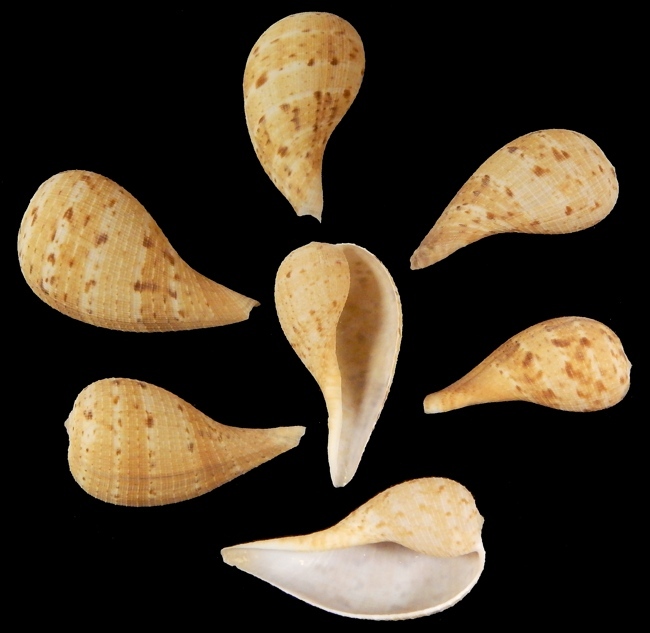 Shell is smooth, fig shaped, with a short spire and a drawn out siphonal canal. There is no operculum. Color is orange-brown to a pale look toward the outer lip. 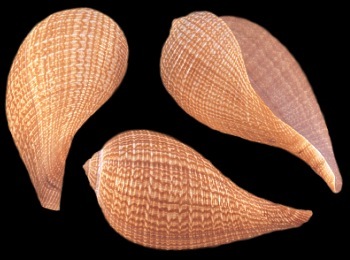 Species is often called the Graceful Fig Shell. Habitat.They range from the Indian Ocean east to the southern Japonic seas. The Fig shell prefers off shore sandy sea floors in deep water.